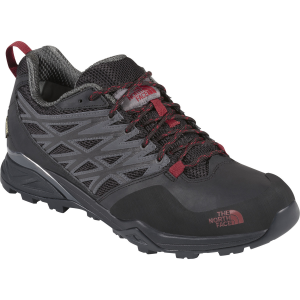 Navigate challenging terrain during long journeys in the backcountry with a waterproof Gore-Tex hiking shoe that remains supportive when carrying a heavy pack. Cradle Guide technology controls the impact at foot strike and features a lightweight Pebax heel cradle for exceptional energy return, so you can bound into your next step. A rigid, yet flexible Snake Plate prevents stone bruising underfoot. 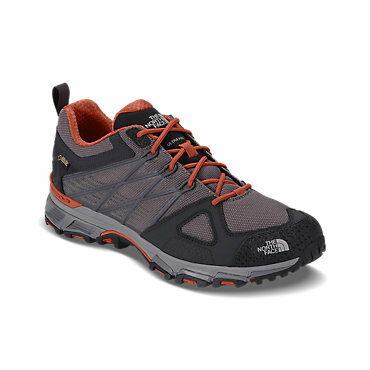 Trek the roughest and toughest trails with confidence in The North Face Men's Ultra GTX Hiking Shoe. 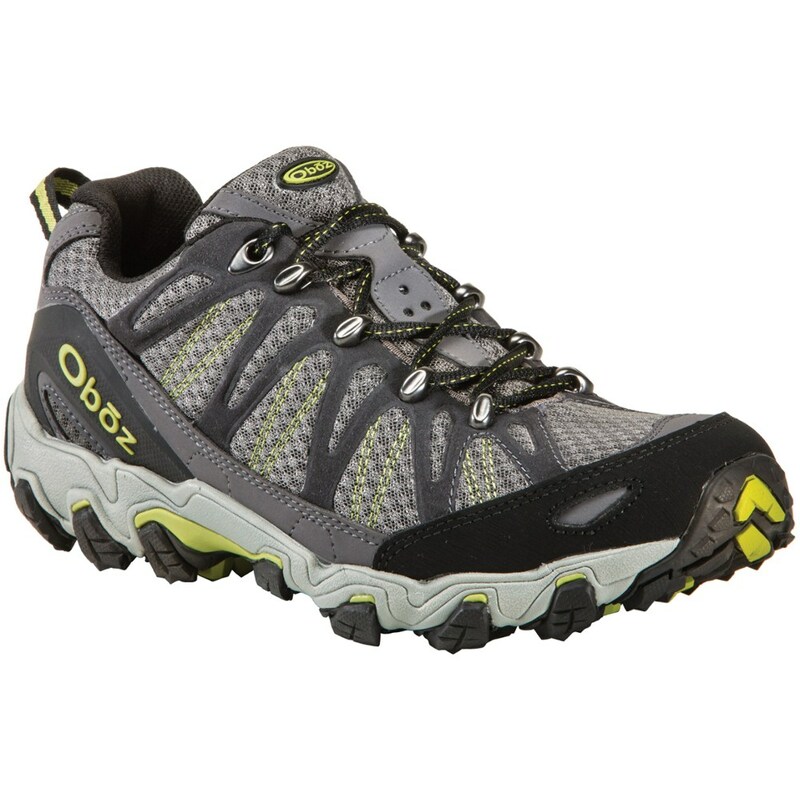 This hiking shoe features water-resistant synthetic upper materials, and the waterproof Gore-Tex membrane sheds passing showers and soaking stream crossings. 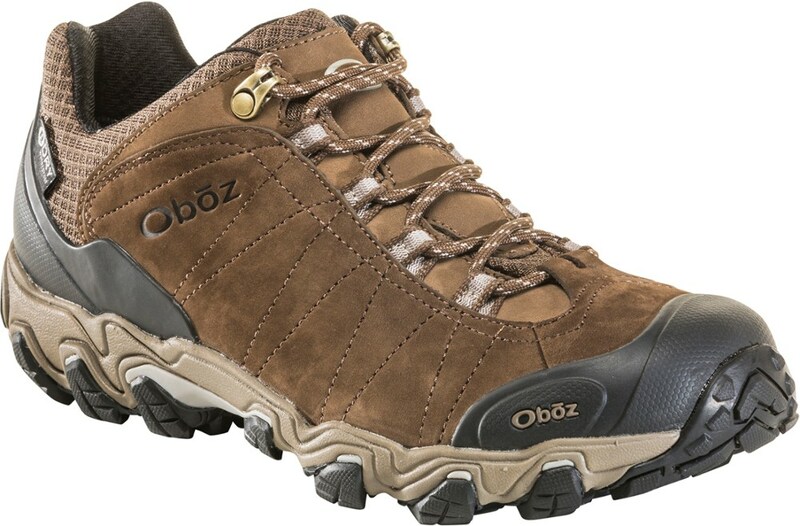 The PU-coated leather toe guard protects the shoe's front when you accidentally stub it on rocks, branches, and uneven surfaces. 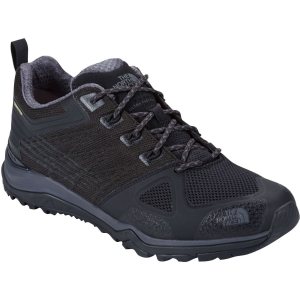 Cradle Guide technology consists of a dual-density, injection-molded EVA midsole to stabilize the foot and promote correct stride over rugged terrain. The Pebax heel cradle rebounds for extraordinary energy return, and the full-foot Snake Plate safeguards your foot from painful stone bruises. Ultra-soft for all-day comfort, the PU footbed brings a plush feel for hours on end. In addition, the rugged Vibram rubber outsole grips onto a wide variety of surfaces when you're hiking and backpacking. Versatile and lightweight, this waterproof hiker featuring CRADLE(TM) GUIDE technology with a Pebax(R) heel cradle and Snake Plate(TM) provides superior protection and support for fast and light travel over challenging terrain. [UPPER]: High-abrasion, water-resistant fabric upper for lightweight strength and protection. PU-coated leather toe guard. GORE?TEX(R) waterproof membrane. TPU overlay on quarters for structure. PU footbed for superior comfort. [BOTTOM]: Pebax(R) heel cradle and full-foot Snake Plate(TM) for lightweight protection with energy return. CRADLE(TM) GUIDE dual-hardness, compression-molded EVA midsole. Vibram(R) rubber outsole. Weight: 1/2 pair: 14.1 oz (400 g) ; pair: 1 lb 12 oz (800 g). 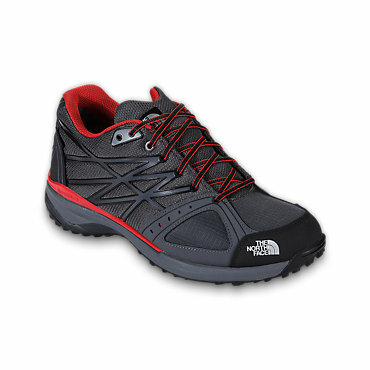 The North Face Ultra Hike GTX is not available from the stores we monitor. It was last seen February 4, 2016	at SunnySports.